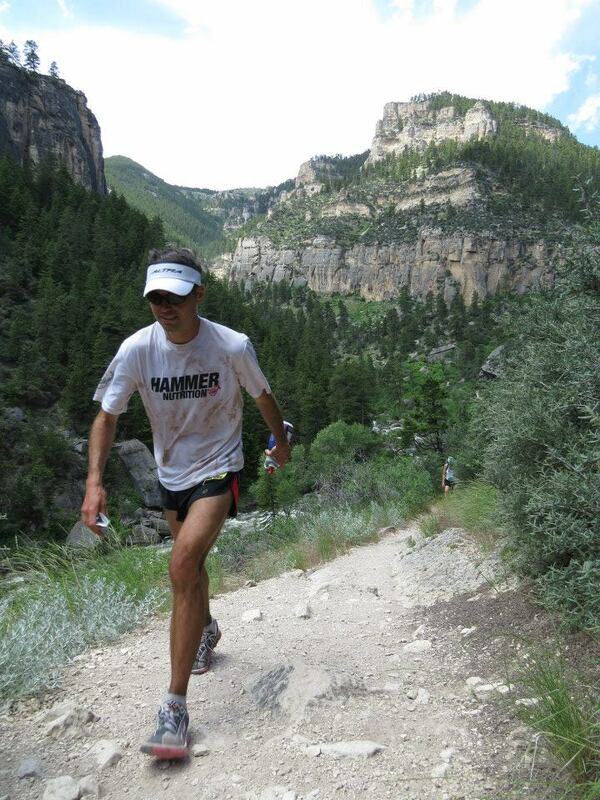 Running uphills efficiently, quickly and easier is important no matter what level of runner you are. As a professional ultra marathon runner who trains in the Rocky Mountains, I’ve worked diligently on my uphill running technique. Here are some of my tips for road and trail runners. 1. Don’t push off: Many runners do this without knowing it. Pushing your entire body weight up the hill is much more difficult than falling slightly into the hill and just picking up your legs. I’m walking uphill on the way to a 1st place finish at the Bighorn Mountains 50 miler. 2. High cadence: Be sure to run with a high cadence. Do not stride out in front of you, drive your knees or bound. Small steps are most efficient. Aim for around 170-180 steps/min. 3. Walk: Sometimes walking is more efficient and even faster than running. This usually depends on the steepness of the hill. If in doubt, walk. You’ll save energy and surprisingly won’t be much or any slower. – Damian Stoy is a professional ultra runner, biomechanics specialist and founder of Wholistic Running. This entry was posted in online running coach and tagged better, coach, elite, how, how to, run, Running, tips, uphill by Wholistic Running. Bookmark the permalink.